Anyone who has ever attended Swiss Expo will tell you that there is nothing like it in the world. Even before the cows enter the ring, the ambiance is electric. Your heart rate increases and you can’t wait for the stars of the show to enter. 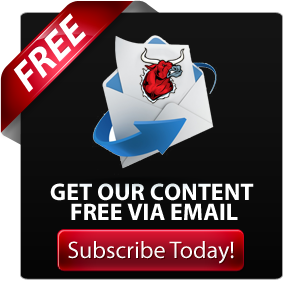 Simply put, attending Swiss Expo will be one of the greatest show experiences that you will ever have in your life. 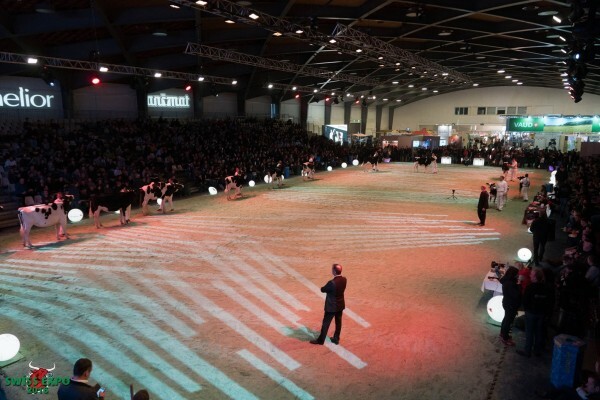 Each year the show is held in January in Lausanne Switzerland. The closest airport, Geneva airport is served by almost all European carriers and by four daily trans-Atlantic flights: one from Washington-Dulles on United, one from New York, JFK on Swiss, one from Newark on Continental and one from Montreal, on Air Canada. Lausanne is part of Suisse Romande/Romandie and thus is French-speaking. However, English is not as commonly spoken as in Geneva, and less than half the population can speak English at a competent level. You will probably have trouble communicating with a commoner on the street, but most service-sector employees speak a little English. Walking is an excellent way to get around Lausanne. 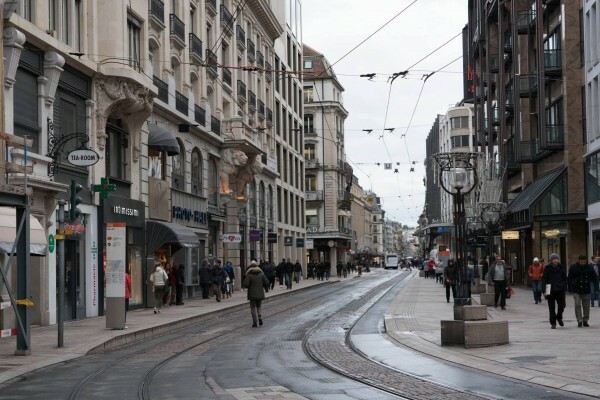 There are a number of sites within a short walk of the Main Station with the largely carfree streets beginning right across the street on rue du Petit-Chêne, which leads up to Place St. François in the old town. Like many streets in Lausanne it is a bit steep, though, so if that’s a problem consider taking the Metro M2. The view from the top of the Cathedral tower is well worth the climb. Ask the nun at the souvenir shop in the Cathedral. 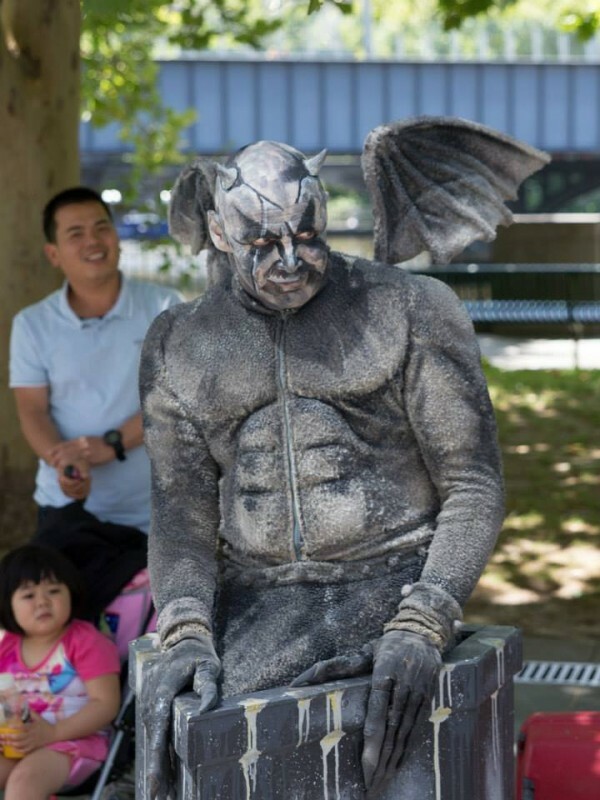 From 10 PM until 2 in the morning, a watchman shouts the hours, perpetuating a tradition that dates back to 1405. 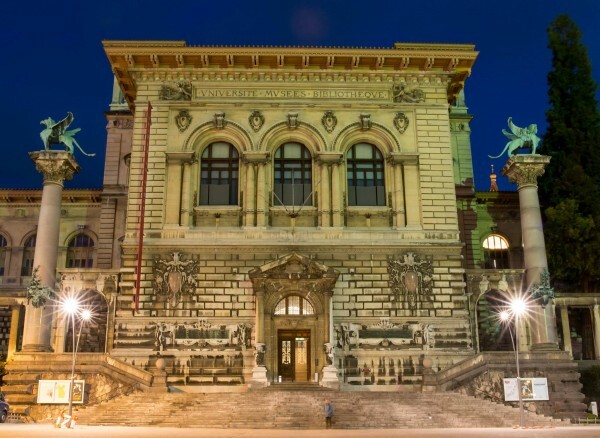 Here you will find a collection of maps, images and documents about the history of Lausanne, and the Lake Geneva Region from the earliest times through the long Bernese occupation to liberation and the present day. A beautifully hand-crafted diorama of 16th-century Lausanne is worth a visit all by itself. 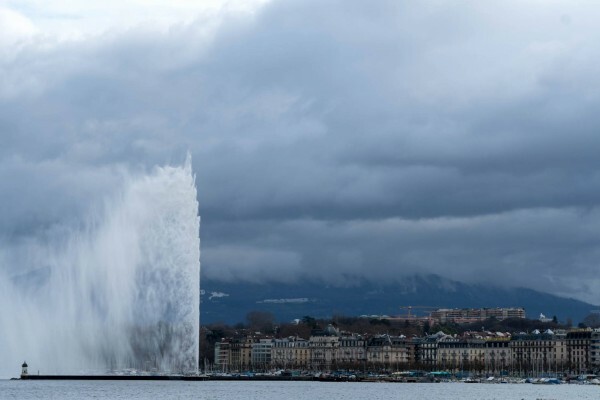 One of the crowning symbols of Geneva is the great Jet d’Eau, a fountain of water pumped 140m into the air. The spectacular plume was once an occasional pressure release for hydropower generation on the Rhône River, but people liked it so much that in 1891 the city created a permanent pumped fountain. It’s beautifully lit at night. Best viewed from a distance — the surrounding half kilometer is soaked with water. However, the more adventurous might want to try the pathway leading right up to the Jet d’eau — prepare to get enjoyably wet! 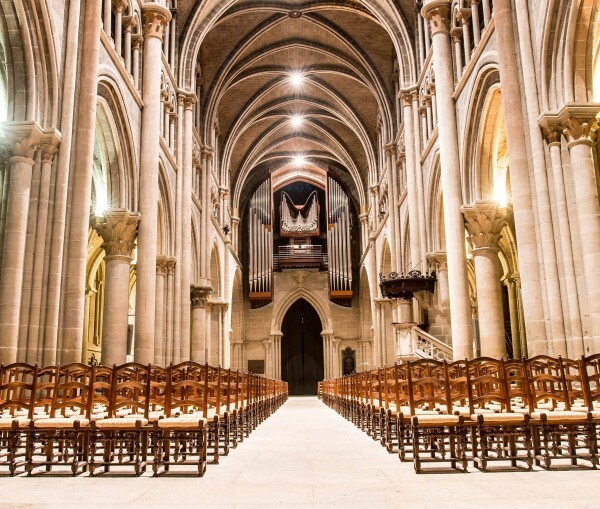 The Cathedral and its towers, originally Catholic, both embody the high point of the Reformed tradition and explore the origins of Christianity with an extensive archeological site, and they are now complemented by the International Museum of the Reformation on the ground floor of the Maison Mallet. An underground passage reopened when the Museum was created, connects the two buildings. 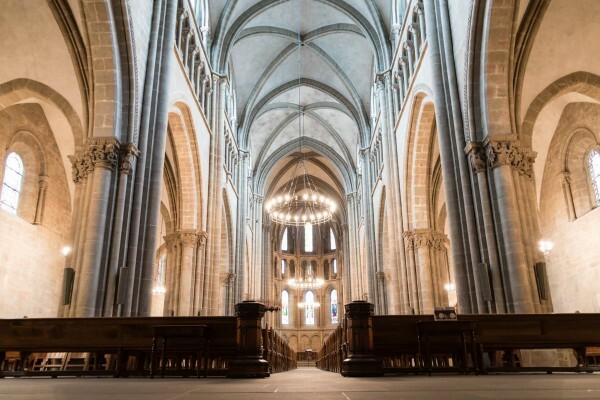 The archeological tour beneath the cathedral is excellent for those interested in such material, and it explains the origins not only of the cathedral but the reason for Geneva’s location back to pre-Roman times. 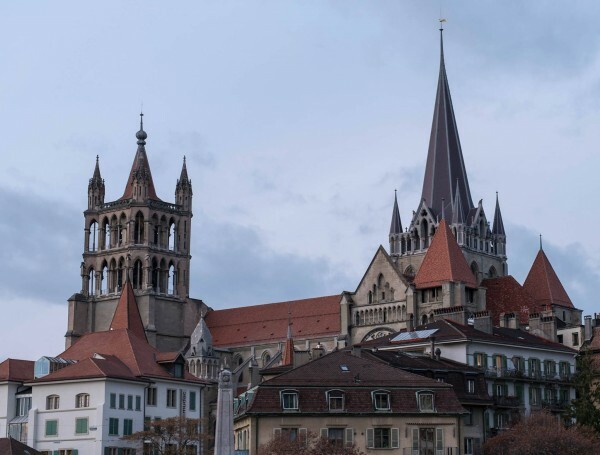 Those willing to climb the steps of the Cathedral’s towers will be rewarded with magnificent views of Geneva and the lake. Aside from the cathedral, the Old Town, in general, is worth walking around in for an hour or two. Among the highlights are the city hall with the cannons in the little square opposite to it, Rousseau’s birth house and various antique shops with all sorts of interesting stuff in the windows. The Old Town is situated on a hill with quite steep streets leading up to it. Saucisson Vaudois (pork sausage) and Saucisse aux choux (pork and cabbage sausage), both protected (IGP) brands. Each sausage carries a green seal with an individual registration Best eaten with papet Vaudois, a dish of leek and potato in a sauce made from cream and white wine. Taillé aux greubons – another cake made from puff pastry mixed with small pieces of bacon. Tarte à la crème – a pie baked with cream and sugar on top. Tarte au vin cuit also called Tarte à la raisinée – a sweet pie with condensed fruit juice, typically apple or pear. Tomme vaudoise – a soft cheese with a mold Best eaten if it is warmed up so that it melts inside. 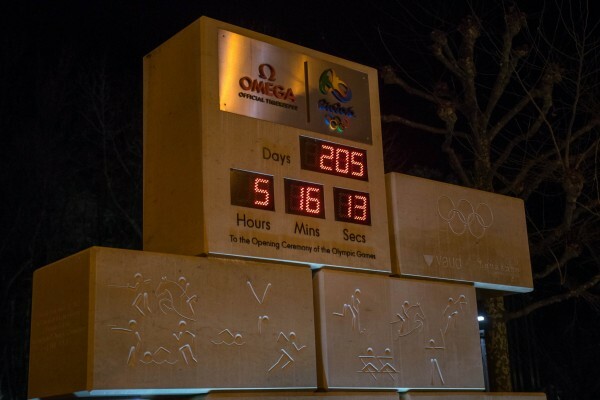 Most of the hotels in Lausanne are in the mid-price range though there are also some luxury hotels as you would expect in the city which hosts the International Olympic Committee. There are also a few cheapies. There are some experiences you just know you will never forget; Swiss Expo is one of those experiences. 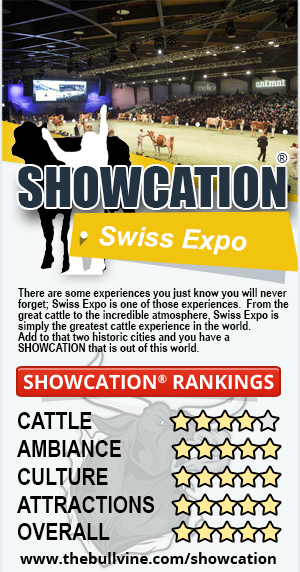 From the great cattle to the incredible atmosphere, Swiss Expo is simply the greatest cattle experience in the world. Add to that two historic cities and you have a SHOWCATION that is out of this world. From the land of Crocodile Dundee, Road Warrior and Vegemite is also the home to one of the greatest cattle shows outside of North America. 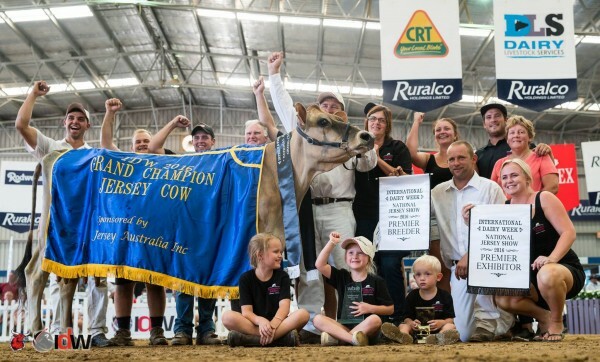 While Australia may be world famous for producing UGG boots, AC/DC and the dual flush toilet it is their annual International Dairy Week that will have Showcationer’s from around the world flocking to Southern Australia in the middle of their hot season. Melbourne is served by Tullamarine Airport, it is situated to the northwest of the city and is the main international and domestic hub. It takes about 22+ hours to reach Melbourne from North America and about 24+ hours from most European cities. 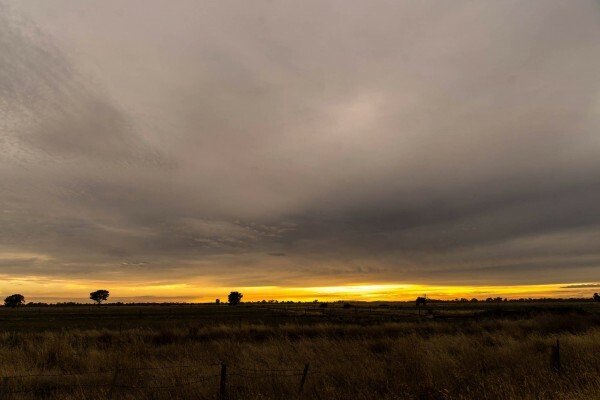 While the sites around Melbourne are easily all reached on foot, you will need to have a rental car to make it out to the Show location that is held in Shepparton, which is about 2+ hours north of Melbourne. Side note: If you are channeling your inner Mad Max you can make that drive in 1 hr. 15 minutes when you are late for your flight, but the speeding ticket from the aerial surveillance will significantly increase the cost of your trip, trust me I speak from experience. Arguably the defining landmark of Melbourne, a nice, colonial-era railway station at the junction of Flinders Street and Swanston Street. The main entrance is known for several clocks hanging over it and is a favorite meeting spot for locals. 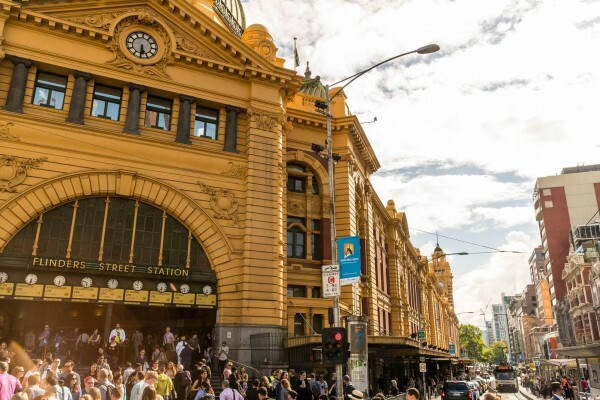 “Meet you under the clocks at Flinders Street station” is in the DNA of every Melburnian. An entire new precinct filled with shops, bars, restaurants and things to do for all the family as well as a large sports stadium with a waterside setting. Boat trips touring Melbourne’s rivers and Port Philip Bay leave from here. 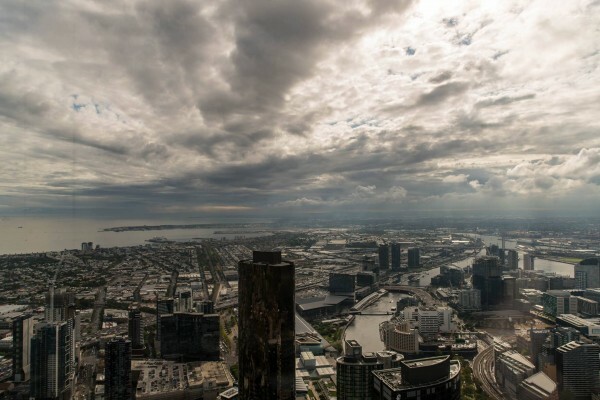 Tallest residential building in the southern hemisphere, panoramic views of the whole of Melbourne. New Zealand – While half way around the world, make sure to stop in New Zealand just after IDW for their national show and see operations that will be certainly eye-opening for breeders as to how grazing operations operate. 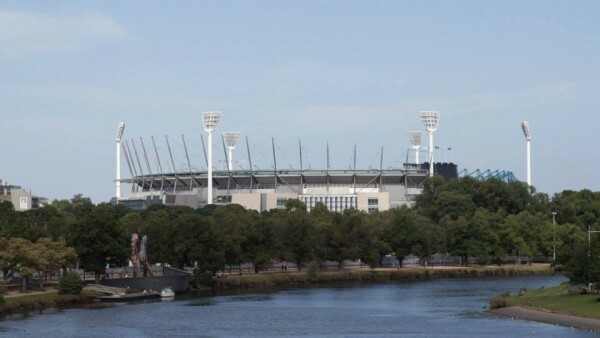 For the culinary traveler, Melbourne, and the surrounding region is one of the best destinations in the world. 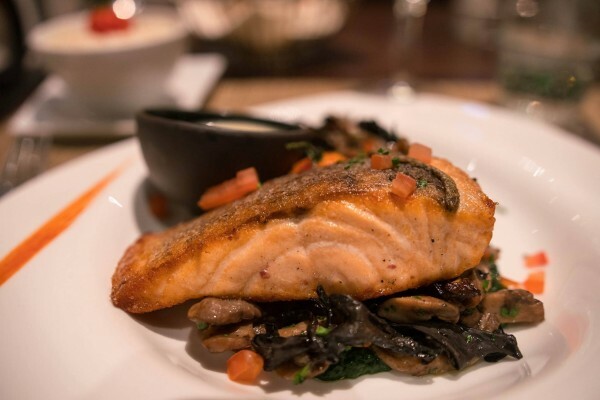 There is an abundance of affordable, high-quality restaurants representing almost every cuisine. Eating out is cheaper than in Western Europe but not as affordable as North America. The service in Australian restaurants may be more discreet than many North Americans may be used to. Although service staff in Australia are paid considerably more than their North American counterparts and tipping is not compulsory, a tip for good service is always welcomed. 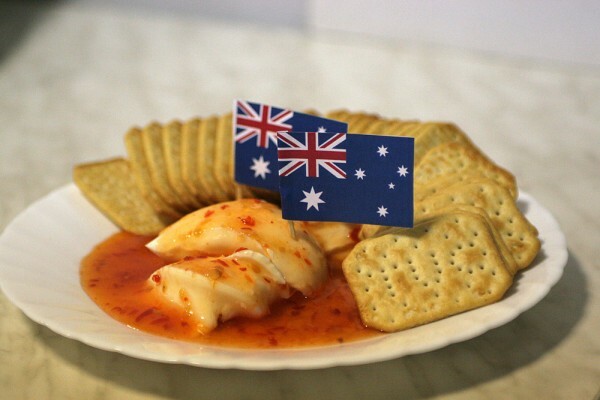 “Australian cuisine” is a nebulous concept that may include traditional native foodstuffs and more modern cafe infusions of international influences. Items such emu or kangaroo meat are unusual and are most likely to be found only at the high-end fine dining restaurants as a specialty item. You can, however, find great kangaroo steaks at the Napier Hotel (Napier St, Fitzroy) for around $30, or at the Edinburgh Castle pub on Sydney Rd, Brunswick for around $26. Melbourne nightlife is 24 hours; loud, colorful and anything goes. Door policies can be strict, but once inside high-quality entertainment is guaranteed. DJ’s, live music, artists, beautiful people and so much more can be found. There truly is something for everyone and every taste. 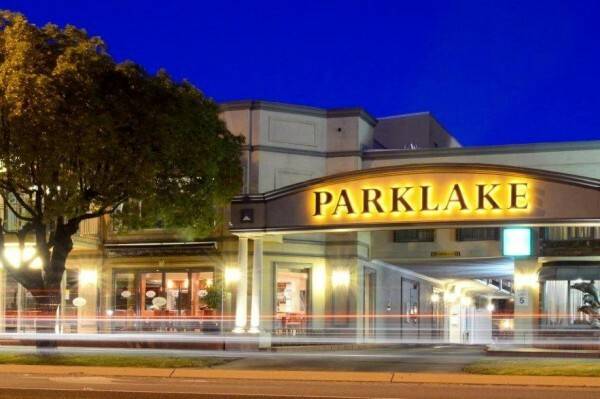 It has a massive live music scene, with many inner-suburbs pubs catering many genres, with drink and food specials all week. The key is to find one you like the most! Hotel spaces in Shepparton are limited so be sure to book as early as popular. Many repeat visitors enjoy staying at Quality Inn Parklake Hotel, but space fills up very fast. Other places to consider the BEST WESTERN Wyndhamere Motel, Paradise Lakes Motel, and the Country Home Motor Inn. 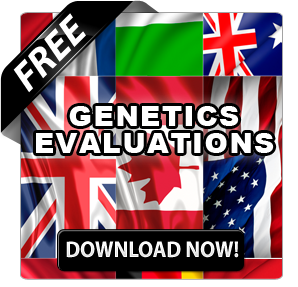 When it comes to a great showcation® to see part of the world that is very different from that of North America or Europe, Australia’s IDW is certainly a showcation® that many dream of. It has become a very popular destination for young North America breeders to travel to and learn about dairying in other parts of the world. 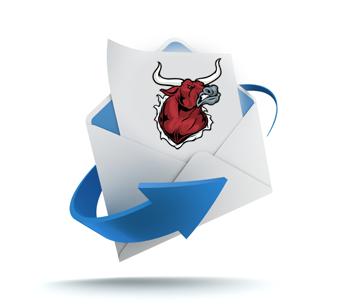 (Read more: DAIRY YOUTH WILL GO FAR: EXCHANGE IS GOOD!) 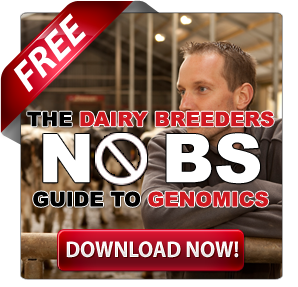 The cattle at IDW would be probably the best outside North America found anywhere in the world, and their slang takes some getting used to (Read more: DAIRY SLANG: 22 PHRASES THAT MEAN DIFFERENT THINGS TO DAIRY BREEDERS). 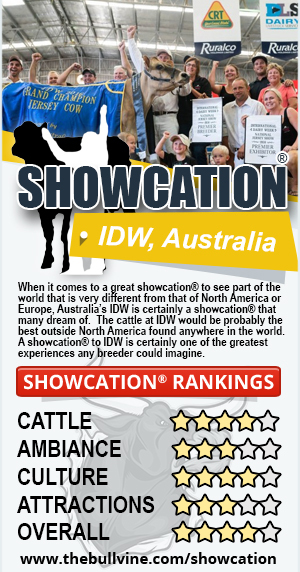 A showcation® to IDW is certainly one of the greatest experiences any breeder could imagine. 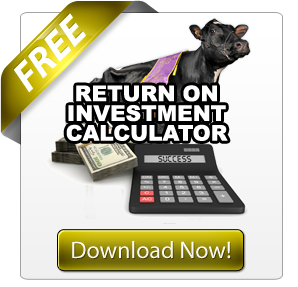 If you are like most breeders and members of the dairy community, time for vacations is very limited. But, like most, you are also probably very passionate about this great industry we are all a part of and have often wondered just what it’s like in other countries. 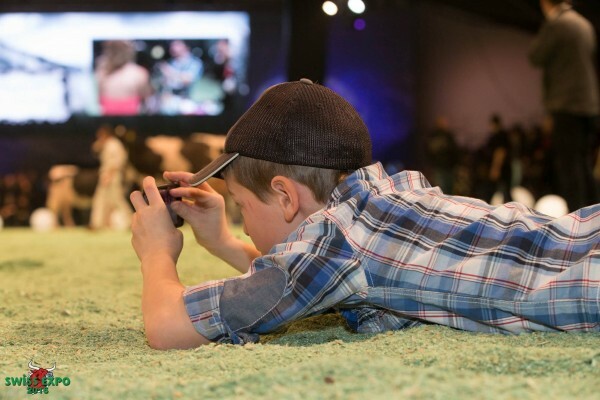 Enter SHOWCATION®, a vacation to a dairy show somewhere around the world. 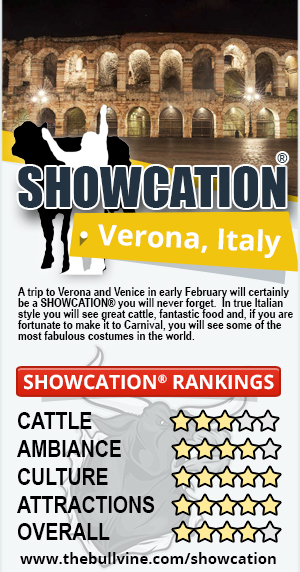 The first stop in our SHOWCATION® series is Italy for the European Open Holstein Show held in Verona Italy every year in the first week of February. Verona is famous as it is the place where William Shakespeare set his play, Romeo, and Juliet. 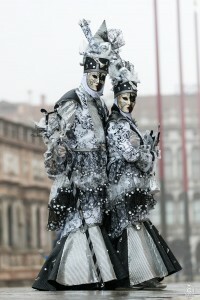 It is situated an hour away from Venice, which is hosting its annual Carnival at the same time, but more on that later. First let’s take a look at Verona. Verona-Villafranca Airport is the closest airport to Verona. It is located 12 km southwest of the city. National carriers fly from Frankfurt, Munich, London-Gatwick, Paris Charles de Gaulle, Rome-Fiumicino (‘Leonard da Vinci’) and Moscow. 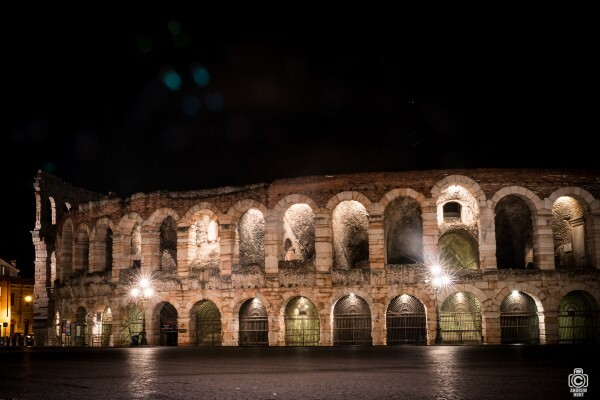 Upon arrival at Verona Porta Nuova station, it is a 15-minute walk down a long boulevard to reach the center of town, the Verona Arena (Arena di Verona). Just leave the train station, walk through the bus station and past a triumphant arch and follow the boulevard Corso Porta Nuova till the end. Also, Fieragricola, host of the European Open Holstein Show is held at the Veronafiere Is about a 10-minute taxi ride from downtown. Due to the relatively small size of the city and the proximity of everything, there is no need for a taxi but rather public transport will work great, as is the case in most European countries. Well, naturally, Italian is spoken by everyone. However, you will find a decent number of people who speak or, at least, understand English. While there may be the odd challenge with the communicating, it’s nothing that non-Italian speaking dairy enthusiasts from around the world can’t deal with. The Arena is an enormous, spectacular Roman amphitheater, crumbling on the outside but it’s still functioning today. It was erected in the 1st Century AD in an elliptical shape and is the world’s third-largest amphitheater to survive from antiquity. Much of the outer ring was damaged during the earthquake of 1117, but the inner part is still intact. The Opera is closed at the time of the show. There are also many great cafés to eat an excellent meal and appreciate the Arena and its spectacular nighttime images. After a day at the cattle shows, this can be a great way to enjoy some fine Italian wine and authentic cuisine. Be sure to try horse-meat (Cavallo), a local specialty. Just off the Piazza del Erbe and about 3 minutes walk North of the Arena, through some great shopping, is Juliet’s house. This is supposedly the location of the famous balcony love scene from Shakespeare’s Romeo and Juliet. The tiny courtyard is normally packed with lovestruck teenagers photographing each other on the famous balcony. 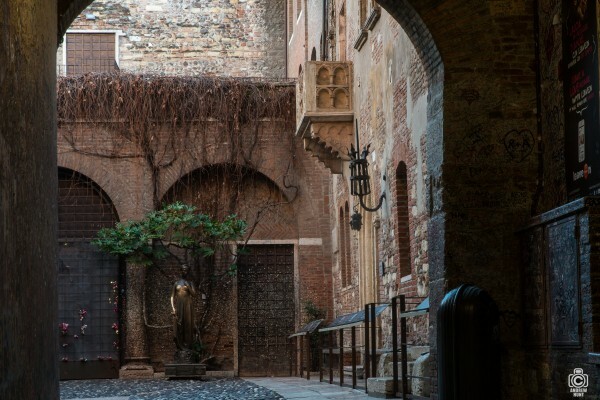 In fact, the house has no connection with Shakespeare’s fictional characters – although the house is old, the balcony was added in 1936 and declared to be “Juliet’s House.” This also makes this a great trip for you and your special someone, just before Valentines, especially combined with a trip to nearby Venice. A 14th-century, red brick, fortified castle on the banks of the river Aldige. The main castle buildings house the city art museum which is packed with a rich collection of medieval sculpture and Renaissance paintings. As well as the museum, the extensive castle ramparts are great for exploring – ideal for families with children who enjoy running around castle fortifications. 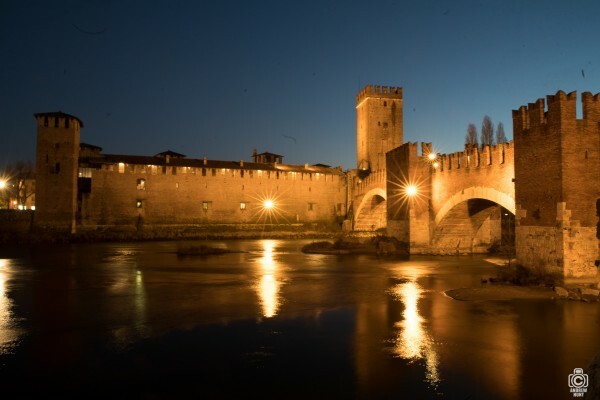 The Castelvecchio has an adjoining bridge over the river which is open all the time. Walk over the bridge for some fantastic views of the castle on the river. Climb the steps up the hill above the Roman Amphitheatre to the Castell San Pietro. This former Austrian barracks dates back to the Austrian occupation of the left bank, and while the building is not open to the public, the views from the hill over Verona are spectacular. Go up in the early evening and enjoy a romantic sunset for free! Horse-meat (Cavallo), a local specialty. Pastissada de caval, is a dish of braised horse meat, as is Picula de Caval. Pizza is not as traditionally eaten locally, but pasta dishes feature widely on restaurant menus. Try Pizzocheri (buckwheat pasta with cheese and sage), casoncelli (a type of ravioli) or bigoli (thick spaghetti). Casoela is a pork casserole, and a bollito misto is a mixture of boiled meats, usually served with pearà, a local sauce which you can find only in Verona. 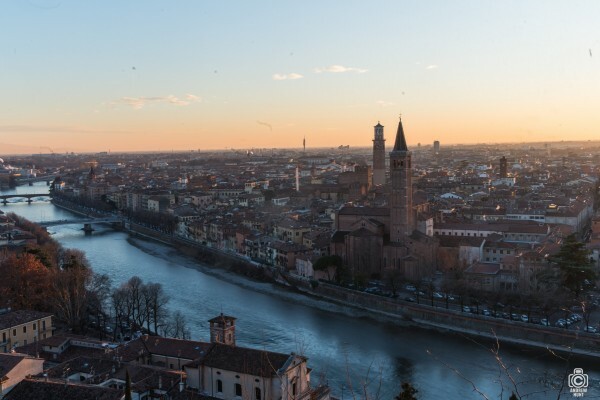 Verona is frequented annually by millions of tourists, so you’ll be able to choose among a lot of different accommodation options. Turn up on spec or late and it is possible to find every bed in the city taken. A trip to Verona and Venice in early February will certainly be a SHOWCATION® you will never forget. In true Italian style you will see great cattle, fantastic food and, if you are fortunate to make it to Carnival, you will see some of the most fabulous costumes in the world.